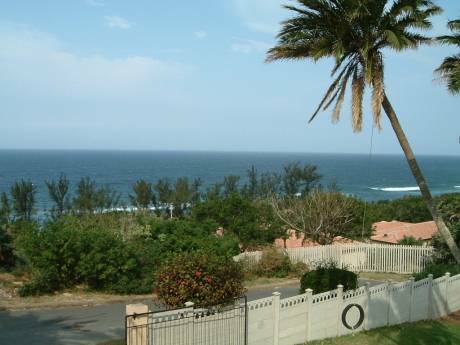 The house is on the beach of Ramsgate, a small town approximately 120 kilometres south of Durban. It is the holiday home of the Gill and Halford family. The house is 250 sq.m, brick and tile. 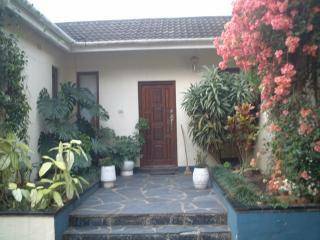 It consists of kitchen, dining area, alcove, lounge, 3 bedrooms, one bathroom+wc and one shower+ wc, laundry, home help room with shower and wc and one garage. The house has been extensively renovated over the past few years and all furniture has been renewed in the past two years with the objective of making it comfortable for our families and grandchildren without the worry of kids possibly damaging something precious. The kitchen is fully stocked, the only thing you will have to bring is the food. Mary, our live in help can do basic cooking and will wash the dishes as well as make beds, clean the house and do laundry. The dining area has a table for 6. The alcove has seating for four and has a splendid view over the ocean. The lounge has very comfortable seating for 6 plus a tv with cable, CNN, BBC, Movie channels, Discovery + 50 music channels and radio. All bedrooms have built in wardrobes, the main room has a queen size bed, the other two have twins. The terrace has seating for six and gives a view over the ocean. The back garden is walled in so small children can be left to play by themselves quite safely. 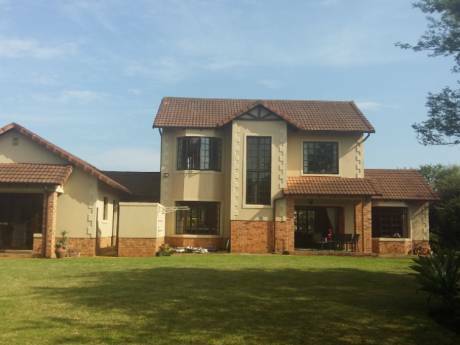 The house is fitted with a full burglar system,security company reaction, as well as bars on windows. Crime is of the petty nature, take the usual precautions. We are farmers and live in Tshwane(Pretoria). The family consists of Gordon and Margie who have two daughters, both married with one child each and Dave and Diana who have two daughters and three sons, all apart from one are married and both daughters are due to give birth in December 05 and January 06 respectively. The four senior members are involved in the farm as is Dave and Dianas youngest son who will hopefully carry on when they retire. The farm has been in the family since 1910. Gordons hobby is restoring old cars, he is currently busy with a Alfa Spider, keeping up with F1 and going on car rallys.Margie acts as his navigator on these trips. Dave is a keen photographer and spends many hours at the coast pursuing his hobby. You will see some of his work in the house. Diana is the keen gardener and spends most weekends pottering around the garden at home. The Ramsgate area is a traditional South African holiday home town. The area around our house is mainly single storey homes on largish stands with established gardens. All properties are walled in for peace and quiet otherwise hawkers are constantly knocking at the door, now Mary tells you what they have and you decide if you want to buy. There are several eateries in the area,+/- 1-5 kilometres from the house offering French, Italian and Fish and Chips British style, one superrette, a chemist, video store, and bottle store. The main beaches for swimming and surfing are 1 km. in each direction from the house.
. Margate also has a good hospital if help is required. Fifteen km. from the house is Shelley Beach which is a upmarket centre with good supermarkets, cinemas, clothes and jewellery shops. Also at Shelley is the take off point for deep sea angling. There are several art and craft shops which have paintings, clothes and pottery made locally for sale.